Lunch is a difficult meal to plan. 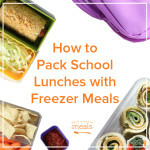 Coming up with school lunch ideas for kids to eat when you aren’t there can be even harder. 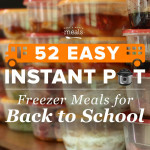 You want it to be quick, but you also want it to fill and sustain them until dinner time. You want it to be healthy, but you also want them to enjoy it. Add in the appetites of these picky and sometimes willful little people, and you might just start resorting to PB&J every day! 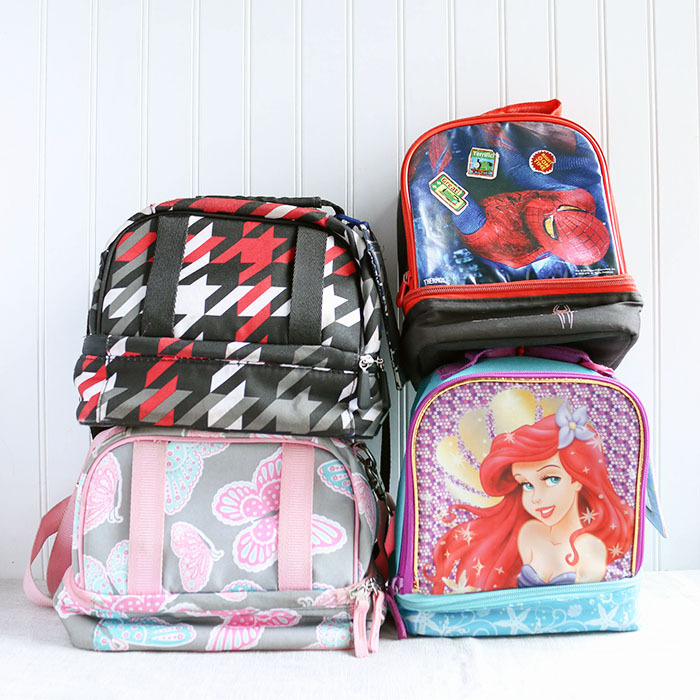 Packing lunch boxes can truly be a battle. 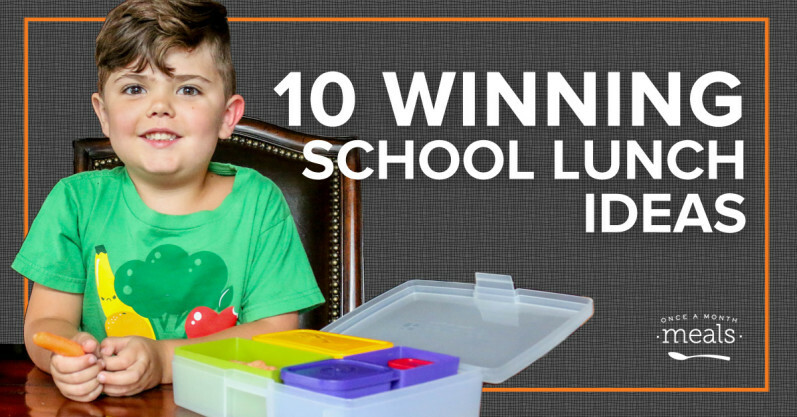 Here are ten winning strategies and school lunch ideas that we have put together from our time in the trenches. Give them lots of healthy choices and let them pick what they want. For example, “Would you like carrot or apple slices for your snack?” This way they still feel like they have control, but you are guiding them toward making healthy choices. Some of the best lunches are served with small portions of all the things in the fridge! For example, lunch meat, cheese, crackers, cut up fruit and veggies, nuts, or maybe a few bits of leftover pasta, rice, meat, etc. Kids love having so many options! 2. Make it look pretty. Now hear us out before you run to Pinterest for creative ideas. We know you “ain’t got time for that.” However if you can arrange things nicely on the plate, use lots of colors, add a fun napkin or note in the lunch box, it can go a long way. 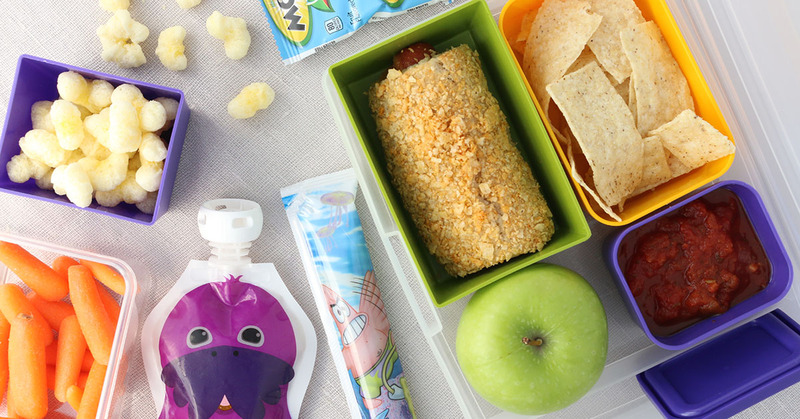 And maybe if you have crazy amounts of time and creative juices, you can look for bento-style lunch ideas with fun shapes and themes. 3. You choose WHAT kids eat. They choose how MUCH to eat. Kids know when they are full. They haven’t been conditioned to over or under eat the way we as adults have. Their appetites ebb and flow with growth rates, activity levels, and different amounts of sleep. Make a rule that they have to eat something that you choose, but they can decide how many bites. This rule states: you can’t say “no thank you” until you have tried at least one bite. 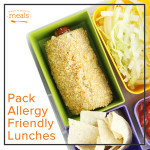 This encourages good manners and exposes kids to new foods while still giving them some independence. 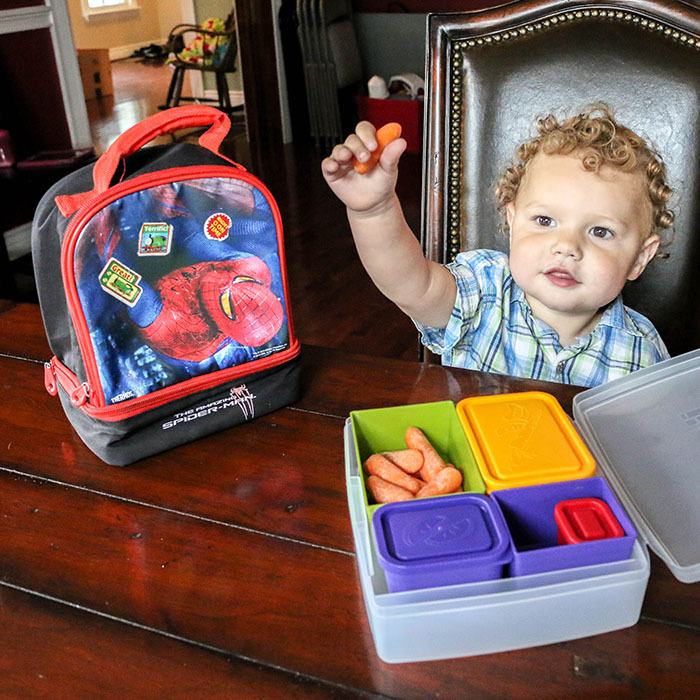 Several Once a Month Meals staffers have even used this successfully with children who have sensory issues. This works well in conjunction with incentive charts too! 5. Get your kids involved in cooking. This is a huge topic, but here are a few examples: teach them where food comes from by growing it or visiting a farm, let them do age-appropriate kitchen tasks, let them help set the table, allow kids to help with the meal plan or assembling lunch boxes, or take them grocery shopping. 6. Invoke the help of a favorite book or TV character. Sam I Am or Daniel Tiger are a parent’s best friend too. Be prepared to do some rhyming and singing to make this work. 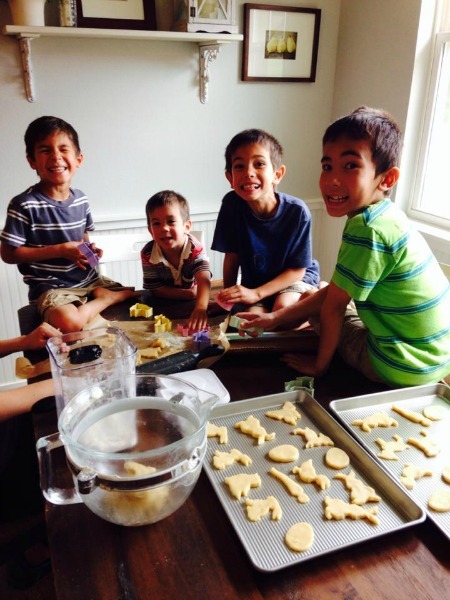 Several of us have enjoyed reading and cooking from the book Eat Like a Dinosaur with our Paleo and GF kiddos. 7. Model good habits on your own plate. My kids ALWAYS want what is on my plate! Let them steal some. Encourage them to be “strong like daddy” or “healthy like mommy.” Sometimes just joking with the kids and telling them they can’t eat something makes them laugh and try it! 8. Put new foods on a separate plate or bowl. Mindy gave this suggestion for children with sensory issues, but it could work for others too. Sometimes just keeping the new food away from the others keeps everyone calm enough to get out of their comfort zone. Moderation means not every day, special, seldom. You can plan special treats as a family like an ice cream night. Or let your kids earn it by adding stickers to a chart when they try new things. We are not talking bribery or bargaining as kids will take advantage of that super fast! Just something to let them know treats are ok sometimes, and you’re not a total meanie. 10. Above All – Keep Calm! Make it a big deal, but don’t make it a big deal. Let your kids know eating healthy food is important and valued. Teach them what healthy eating and moderation looks like (especially by example.) But don’t turn it into a battle of the wills. Let this be something you work together on, not something which causes division. Hang in there – we are with you. Now, what exactly are you supposed to put on your kids’ plates? 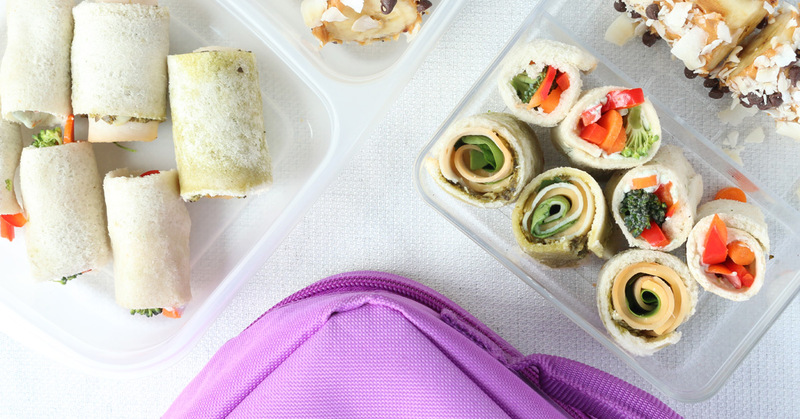 Freezer cooking meals for your children obviously saves time, but you can also feel good about knowing exactly which ingredients are going into their meals. We even have some Whole Foods makeovers for some of our popular recipes like Pizza Spirals. Try the following menus or swap and create your own with your Membership. 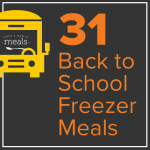 31 Back to School Mini Menu – Based on the 31 Back to School Freezer Meals post. You can use Swappable to easily customize this mini to include the meals your family likes best. You can even let them help choose. Summer Snack Mini Menu Vol. 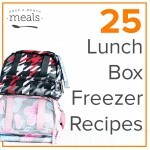 1 – Perfect for the lunchbox or after school. Spring Lunches Mini Menu Vol. 1 – Food that travels well. Great for older children and working parents. 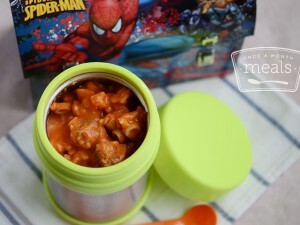 Paleo Kids Mini Menu – Perfect for the GF or Paleo family. Summer Breakfast Mini Menu Vol. 1 – Don’t forget the first meal of the day! Spring Kids Mini Menu Vol. 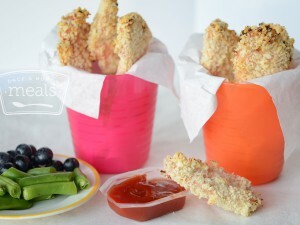 1 – Designed to be easy for toddlers to pick up and eat, but fun finger foods for kids of all ages! Toddler 18+ Summer Menu – Again, friendly for kids of all ages despite the name. **Disclosure: This is not a paid post; however, it does contain Amazon Affiliate links.